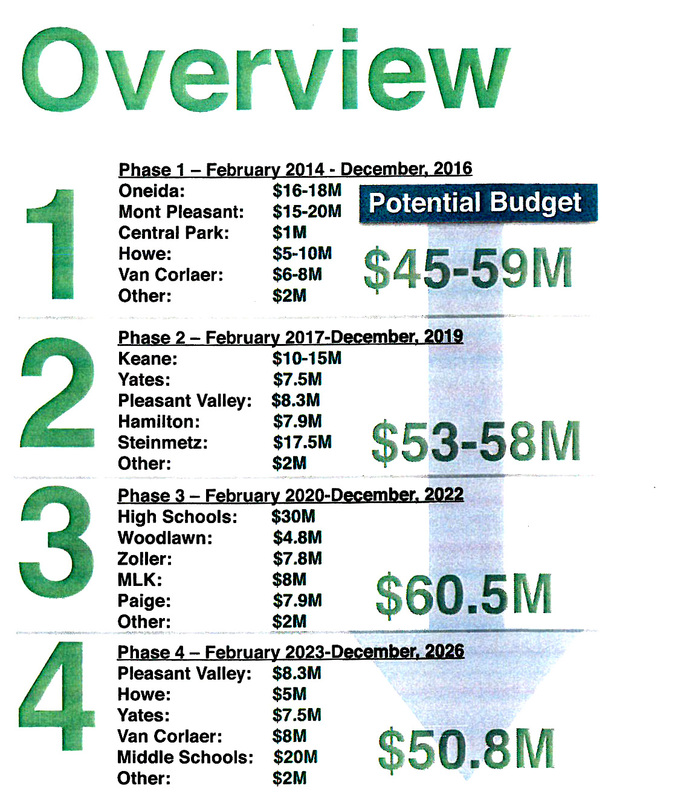 Phase I of the plan, which was approved by voters in March 2014 and as of January 2018 is almost complete. It included $70 million worth of work primarily to support changes to the grade level configurations in September 2016. Central Park School and Mont Pleasant Middle were both converted to 6-8 middle schools. Oneida School, which has been closed since 2012, was also renovated to open as a 6-8 middle school in September 2016. Planning for Phase II, which addresses elementary schools, has begun. A referendum vote is scheduled for May 16, 2017.